Converseen, a free open-source batch image processor for Windows and Linux, has reached the 0.9.6 release with ImageMagick 7 support, though Ubuntu still offers 6.x in its main archives. Converseen allows you to convert, resize, rotate and flip an infinite number of images with a mouse click. Moreover, it is able to transform an entire PDF file into a bunch of images with the characteristics you prefer: you can choose one of the 100+ formats, you can set the size, resolution and the filename. The software is written in C++ with Qt5 framework. Thanks to ImageMagick, it supports more than 100 image formats including DPX, EXR, GIF, JPEG, JPEG-2000, PhotoCD, PNG, Postscript, SVG, TIFF and many others. 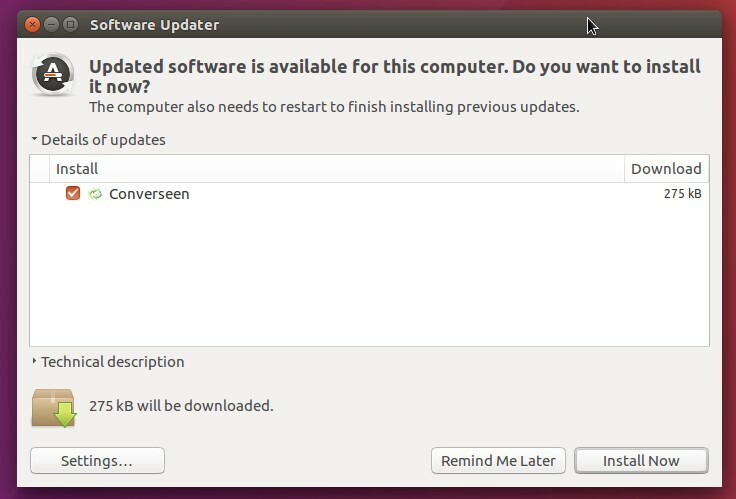 The software is available in Ubuntu main repositories by default. But to get the latest release, you can use this unofficial PPA repository, which contains the packages for Ubuntu 16.10, Ubuntu 16.04, Ubuntu 14.04, and their derivatives. If you like the software, you may keep the PPA so once a new release is out you can upgrade it along with other system updates via the Software Updater utility. And the PPA can be removed by going to System Settings -> Software & Updates -> Other Software tab.